Well, who doesn't want world peace? Who doesn't want to live a life free of war and pain? When I read the jacket of this book I thought those questions are easy to answer. I was wrong. To achieve that world you have to lose all those human qualities that make us individuals. This book really made me wonder if peace would really be worth our freedom of thought and emotions. This story has a lot of action and adventure, it kept me interested and turning the pages. I still want world peace and to find a better way than war… but not if the cost is has high for those things as it was in this book. This is a good read for anyone who likes unique and creative storylines. Disclosure: All opinions are my own. 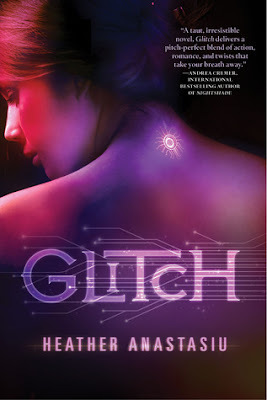 I received Glitch at no cost for the purpose of this review. No other compensation was received.